Kleefeld on Comics: On Business: One Day or Two? This weekend I swang by Count-i-Con for a bit. It's not a huge show like something from ReedPop or Wizard, but it's pretty respectable for a local show. 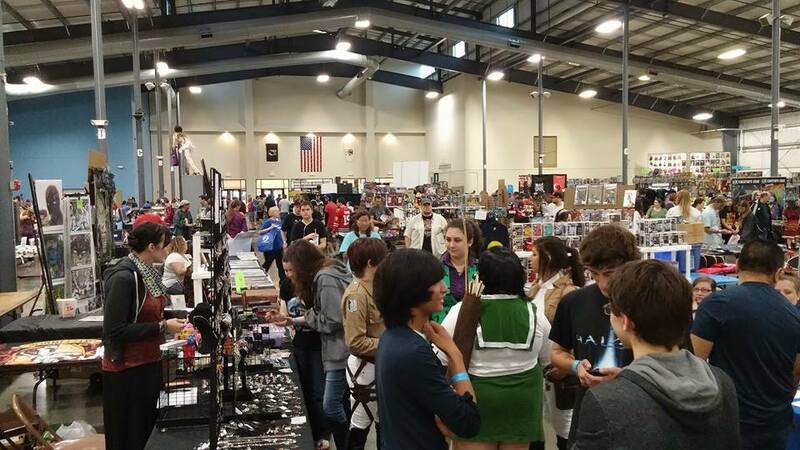 Like a lot of other "comic" cons, it blends into pop culture more generally so there's plenty of booths for toys and games and cosplay and all that. But they usually get more than a few comic professionals as guests, some of them decent names. Bill Reinhold was probably the biggest comics person there, but there also had the likes of Greg Hildebrandt and Timothy Zahn (who I believe have both had work published in comics, at least, even if their normal focus is a little tangential to comics). Anyway, it's a decent show. It's close enough for me that I can swing by for an afternoon, pick up a few things, chat with a few people, and be home in time for dinner. This year, I was pleasantly surprised to fill some long-standing holes in my collection thanks to several dollar bins. I also picked up a couple of new (to me) titles by some local, independent creators. I ran into a friend of mine, and got to catch up a bit which is always good. All in all, a decent show for me. The show is two days, though. Both Saturday and Sunday. 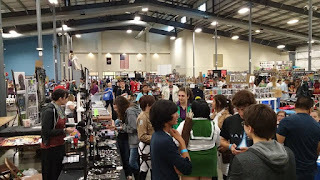 I was able to walk the entire floor, go through three booths's worth of dollar bins, talk to several tablers including the two creators who I bought stuff from, chat casually with my friend, and use the restroom in under two hours. And I was going moving pretty casually. I could've stayed longer if I took an interest in the costume contest, and there were a few panels each day which could take some time. But even with that, I think it'd be a really hard show for most people to attend for both days. It's just not that big. So the question, then, is whether or not the show (and others like it) warrant two days. I've seen other shows of similar size do quite well as a one-day event. The argument for one day is: yes, there will absolutely be people who simply cannot attend because they have zero availability on the day you're open, but those who do have some availability will make a greater effort to attend because they know they won't have a Day Two to fall back on. Which means that the traffic for a one day show would roughly be 75% of what you'd see if you held a two-day event. That is, I'm sure you'll note, less money. However, it's also a full day less of working a convention and, theoretically, fewer costs in hosting the convention. Certainly, some of that would dependent on whether you could rent a space like this for only one day -- I expect many places would require both Saturday and Sunday -- but there'd certainly be less organizing involved, and your costs for hiring ticket takers, concession workers, security, etc. would also be cut roughly in half. Now the down side here is that you put a lot of setup and tear-down into a shorter time-frame. Essentially doing both on one day, and those are just bookends to doing the convention itself! But the up side is that it's over an done with, and you still have a full day in your weekend to watch sports or have a picnic or whatever. I wonder how of these local cons have sit down and done the math on this, and how many just assume that you're "supposed" to do a convention over two days?